IF YOU DO NOT AGREE TO THE TERMS OF THIS POLICY, PLEASE DO NOT USE THE SITE. posting of changes to this Policy will mean that you accept those changes. This Policy applies solely to information collected by us through the Site. How Do We Use Personal Information That You Voluntarily Provide? How Is Your Personal Information Transferred and Stored? to visitors like you and to tailor content of the Site to your interests. technology (collectively, “Devices”) you use to access the Site. to send you advertisements from third parties targeted to your interests. Site, you consent to our collection of your Device Identifier. tell your browser to get content from another server. of your Personal Information using Site Cookies. you visit other sites in the ReachLocal network or in third-party networks. by ReachLocal through its third-party partners (“Advertising Cookies”). Cookies to any Personal Information that you may have provided to us. platform for purposes of quality assurance and campaign assessment. about changes to this Policy. Surveys and contests – From time to time, our Site may request information via surveys or contests. the use and satisfaction of this Site. to tell you about specials, new products or services, or changes to this Policy. you to further discuss our products or services. be linked, to any Personal Information that can identify any individual person. Site or sites of third parties. out of the objectives for which the sale, merger or acquisition took place. or at the email address or phone number given on our Site or as set out below. will be processed within 10 days of the date on which we receive it. Information and this Personal Information will only be used for this purpose. your request within a reasonable time and at no cost to you. remarketing product and our Site. reasonable efforts to delete such Personal Information from our database. are responsible for all uses of the Site by any person using your password. America, although we remain responsible for your Personal Information. purpose for which we provided it to them. 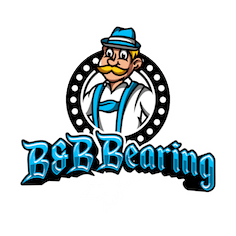 B & B Bearing and Electric Motor will be subject to the laws of the jurisdiction in Canada in which you reside. the laws of any other country or jurisdiction. and at no cost to you. 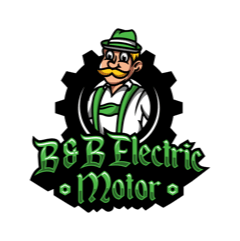 View our extensive inventory of parts for nearly every type of motor. From your pool/spa to your furnace, if it’s got a motor, we can service/repair it. Don’t delay in securing the help you need; if you procrastinate, the problem will only get worse.